Are we the unreliable narrators of our own lives with our porous memories, shaky realities, versions of our own truth? If so, where does this leave history or perhaps the question is where does history leave us. These are matters which have concerned Nobel Laureate Kazuo Ishiguro since his first novel A Pale View of Hills was published in 1982. It is fascinating listening to Ishiguro’s Nobel Lecture which I highly recommend. The author speaks of how he pieced together what he termed his fragile ideas of Japan (a country he left with his parents at the age of 5) from his own childhood memory, from books and comics sent by his grandparents, from ancecdotes and stories told to him by his own parents who for years talked of ‘returning to Japan next year’ and who therefore saw themselves as visitors to these shores, rather than immigrants. 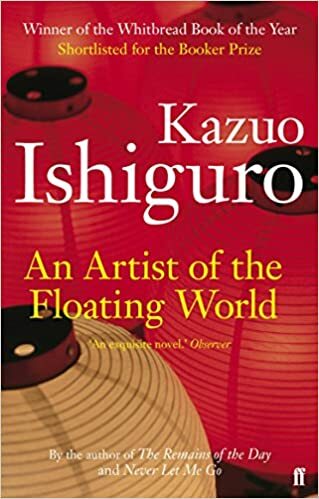 It was never a given that Ishiguro would set a book in Japan, a country which had been Britain’s bitter enemy during the second world war. Now, in a time when writers leap to tell their stories of ethnic or linguistical differences to set themselves apart in a crowded field, it is hard to remember how in the 70s and 80s that was not at all the case. Race was a linear thing and in terms of English Lit it was preferably white and British. 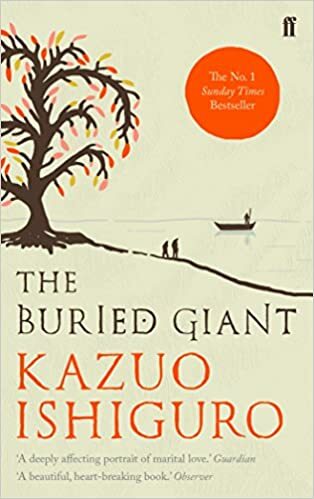 Thankfully, as a student of Malcolm Bradbury and Angela Carter on the far-sighted and, back then, completely innovative University of East Anglia Creative Writing course, Ishiguro was encouraged to write a story about Japan, set in Nagasaki. That story became his first book. A pertinent question which runs through much of the writer’s oeuvre. Answer: because its too difficult and we often don’t either individually or as a nation. The Booker prize winning The Remains of the Day later made into a film starring Anthony Hopkins and Emma Thomson, is a story which concerns itself with that acme of Englishness, the butler in a grand house. There is a moment in the book when the main character Stevens, realizes not only that he has lived his professional life to the exclusion of any possibility of a personal one but, shatteringly, that he has faithfully served a master who serves a false, nay evil, ideology. These books were followed by: The Unconsoled a story about a pianist which I have attempted and failed to read three times, and in which nothing is what it seems to the extent that it drove me mad; Never Let me Go, a dystopian science fiction story also made into a film; When we were Orphans and The Buried Giant, another study of memory and loss set in the deeps of anglo saxon history where giants still lie. The problem of national memory, is examined in this book. Are national memories related to individual memories and if not how do they differ? What is the relationship between national memory and national identity – the latter subject now being acutely foregrounded by political events since 2016 both in Europe and in the US. And yet if warnings of the dangers of nationalism are never far from the surface of Ishiguro’s work, the past two years have shown us that those warnings are not being heeded. The ground beneath us is shaking as the giant stirs. During the lecture the author talks about a visit that he made to Auschwitz/Birkenau; how his guide showed him the gas chambers which Ishiguro describes in his lecture as ‘neglected’, a choice of word which initially shocked me. Why would you choose to preserve the gas chambers? Let them rot away into the ground. But that which we allow to rot away is not by definition going to be around to inform the future. If we erase the gas chambers – or rather neglect their preservation to the point where they self-erase – don’t we also erase the murderous ideology which produced them? This is the great dichotomy and it is one which museums of the 21st century will increasingly face. How to remember and what to remember. Not only Museums but writers too have a responsibility to address the major issues of their time. It is a responsibility that Ishiguro has not failed to shoulder. (https://wordpress.com/post/volatilerune.blog/354). Since 2016 both Europe and the US are finding out that the tide of liberal humanism which washed over our western democratic societies in the second half of the twentieth century – and which we thought was forever – wasn’t. How will writers of the future address the history that is being made now. Own Your Content is a campaign from WordPress.com & CreativeMornings, encouraging creatives to own their content, platform, and the future of their work.